On February 19, 1972 Promoter Ed Francis presented a professional wrestling card at the Civic Auditorium featuring five matches. 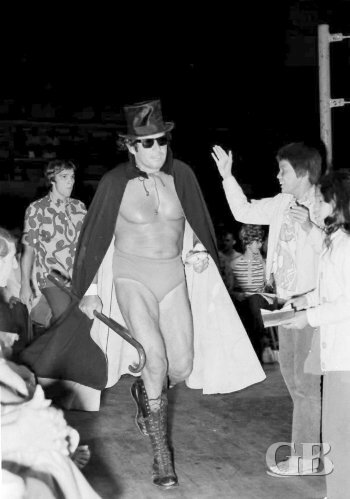 Johnny Barend approaches the ring in top hat, cape, and cane. 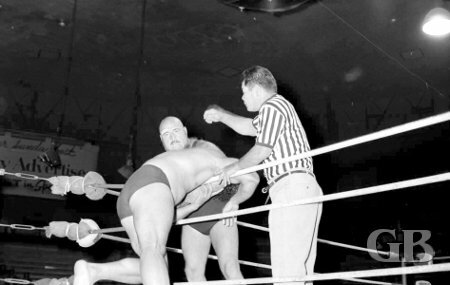 In the first matches, Sam Steamboat pinned Jack Bence, The Mighty Brutus defeated Pat O'Brien, who was subbing for Hahn Lee. Johnny Barend defeated Chuck Richards and Jimmy Snuka won over Machine Vachone. The Mighty Brutus kicks Pat O'brien in the corner. 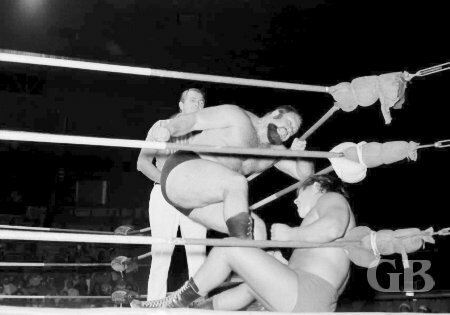 Maurice Vachon strangles Jimmy Snuka over the ropes. 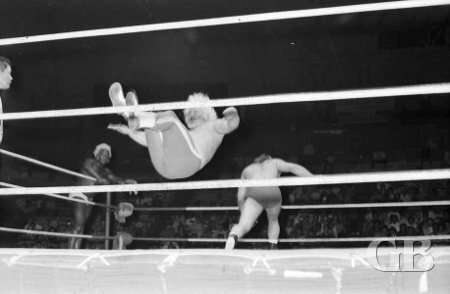 The main event was for the Hawaiian Tag Team Championship, with Maddog Mayne and Sweet Daddy Siki putting their titles on the line against the father and son team of Ed and Bill Francis. 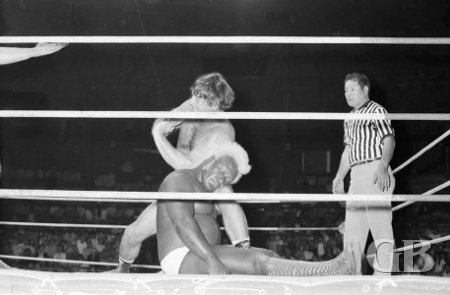 Sweet Daddy Siki with an arm lock on Ed Francis. 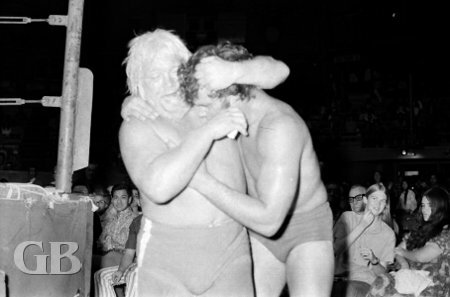 Ed Francis applies the sleeper hold onto Maddog Mayne as son Billy walks by in a daze. Ed Francis about to revive Sweet Daddy Siki from his sleeper hold after winning the fall. 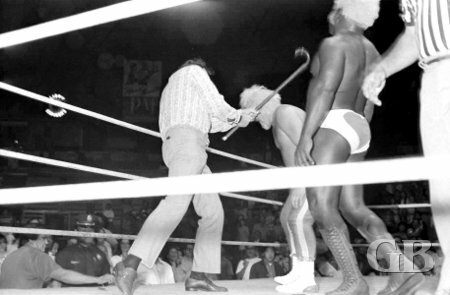 Maddog Mayne manhandles Billy Francis outside the ring. Ed Francis sends Maddog Mayne flyng through the air with a backdrop. Both teams split the first two falls. 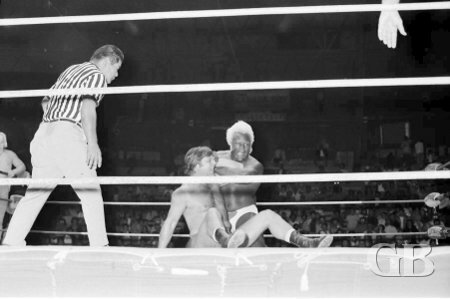 During the third and deciding fall, Mayne and Siki started working over Billy Francis with a vicious attack and the referee ordered Mayne and Siki to stop. Both wrestlers refused to listen to the referee and were disqualified. When Ed Francis went to his son's aid, he too received a savage beating by Mayne and Siki. Then Johnny Barend came running down to the ring in his street clothes and entered the ring and used his cane to hit Mayne and Siki to save the Francis family. 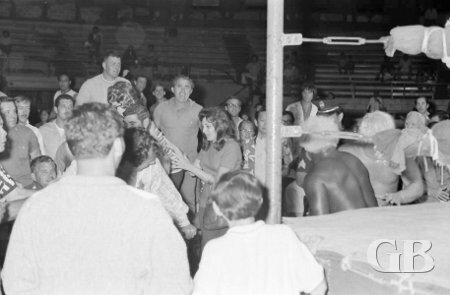 The crowd flinches as Siki and Mayne work over Billy Francis outside the ring. Johnny Barend enters the ring in street clothes to lend a hand. Despite all of the above, Mayne and Siki retained their tag team titles since the championship cannot change hands on a disqualification.